Carrying costs, from a logistics perspective, refer to the overall expenses associated with holding or carrying items of inventory. It is, in fact, an umbrella term that includes costs incurred on storing and preserving goods for specific time periods (warehouse rentals, infrastructure, equipment, salaries, utilities), insurance premiums, losses resulting from depreciation, market fluctuations, damage, pilferage, shrinkage and decay. A large, aging inventory is a potential money-guzzler, especially if the goods have a timed shelf life. 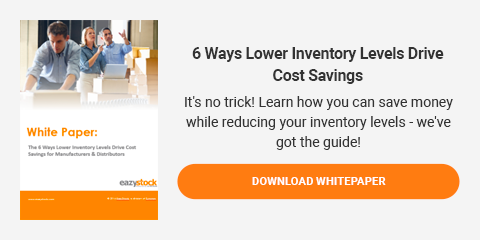 Inventory optimization is a major challenge faced by different members of the supply chain, including manufacturers and wholesalers to distributors and retailers. Optimizing inventory and, hence, carrying costs is a continuous process. It’s bound to differ from one company to another, depending on the goods they deal with and the available resources on hand. The first step is to accurately determine carrying costs before attempting to optimize expenses. The exact subheads covered as part of these costs also need to be identified. The key challenge, however, is to maintain sufficient stock to meet market demand. While some companies choose to hold safety stock, also known as buffer stock, to fulfill ad-hoc orders or sudden spikes in demand, others may opt to replenish depleted stock just-in-time and in the required quantities needed to meet projected demand. This is to avoid costs incurred on procuring and holding additional inventory. While maintaining lean inventory could prove profitable at times, deciding on the minimum order quantity based on lead-time, demand and reorder levels may not be quite rewarding. Operational costs associated with stock taking, order placement, order receipt, storage, retrieval, packing etc. every time the goods are ordered may overshoot the costs incurred on holding additional stock. Intangibles, such as time, labor and effort, spent on the reordering process are usually not considered. This approach, although likely to cut down carrying costs, may not be profitable if the reordering costs work out higher. Alternatively, adopting Economic Order Quantity (EOQ) to determine reorder quantity is likely to prove more effective in optimizing inventory as it considers reorder/manufacturing costs involved in replenishing stock. Carrying costs, as seen earlier, include losses caused by damage, pilferage, obsolescence (unusable, outdated demand or product), plus the cost of capital invested in building up inventory. Most losses mentioned here are written off and directly impact the firm’s bottom line. A fast-moving inventory definitely means lesser carrying costs and a steady cash flow (return on investment), but that alone may not guarantee profits. Freight and logistics costs also are an integral part of the carrying costs and are bound to spike with the reorder frequency (every time stock is replenished). Failure to hold sufficient inventory often leads to a loss in sales. Losing customers or large orders to competitors due to lack of sufficient stock not only impacts the bottom line but also the firm’s brand image. Hence, optimizing inventory and procurement without major impact on costs, order fulfillment or service levels can help reduce carrying costs and improve profitability. Make sure you know where your money is going – and find out how you can be cutting your costs in new areas! Learn more about accurate purchasing in our free white paper here!